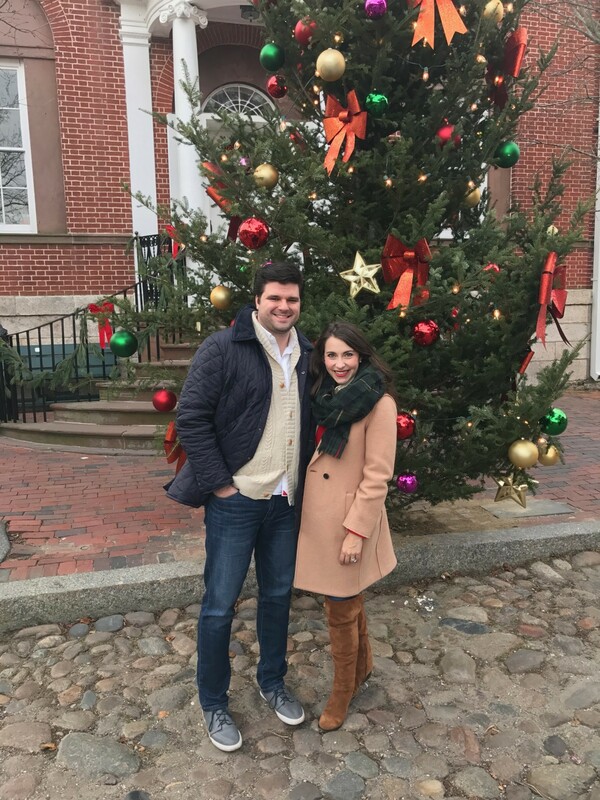 The Nantucket Christmas Stroll is one of my favorite annual events. 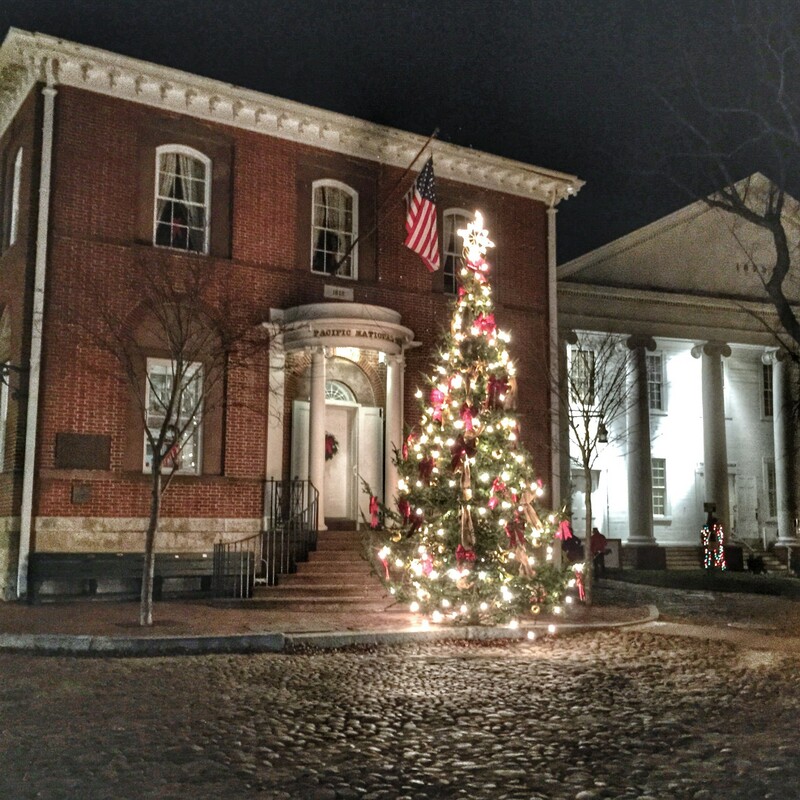 With Christmas trees on every corner and twinkling white lights leading the way down the cobblestone streets of historic Main Street, the Grey Lady is dressed up in her holiday best. As a last hurrah for the season, all of the local shops and restaurants reopen for business and the island is bustling with visitors. 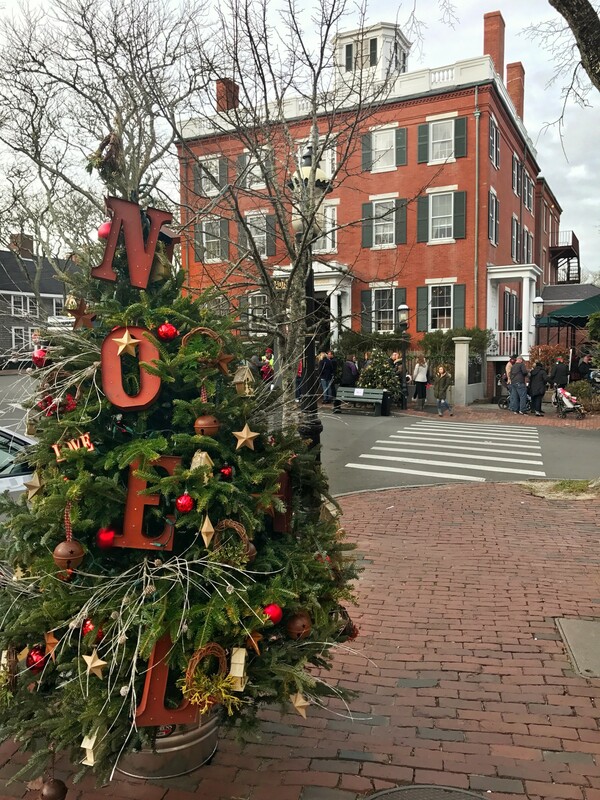 The Christmas Stroll brings together people from all over the country to enjoy the charm of Nantucket and relish in the spirit of the season. The feeling of holiday cheer truly abounds. 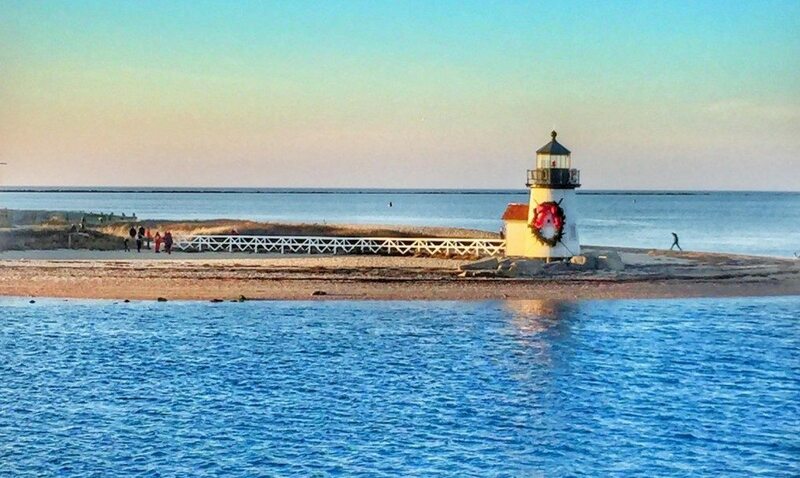 As I’ve written about before (here and here), Nantucket is one of my favorite New England destinations, and beyond a summer getaway to the island, Stroll weekend is a prime time to visit. 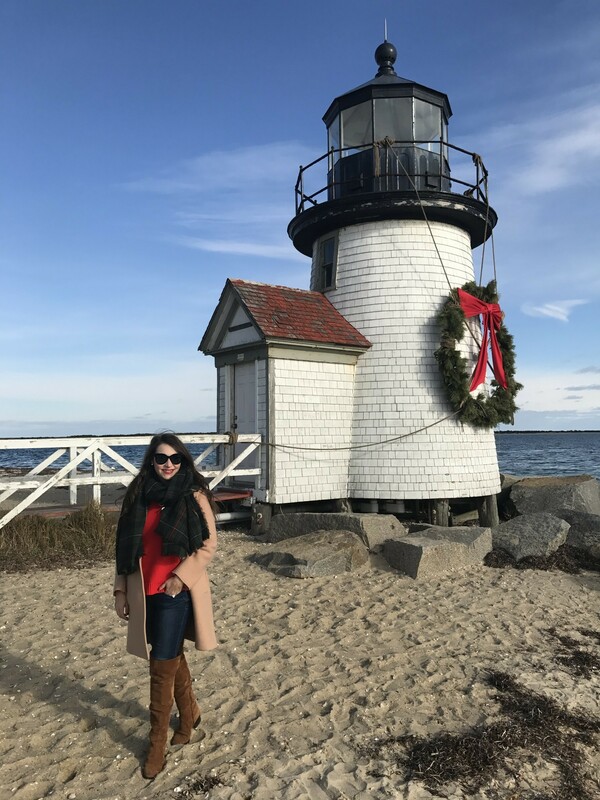 If you’re attending the Nantucket Christmas Stroll for the first time this year, I wanted to share my top five tips for making the most out of your weekend! 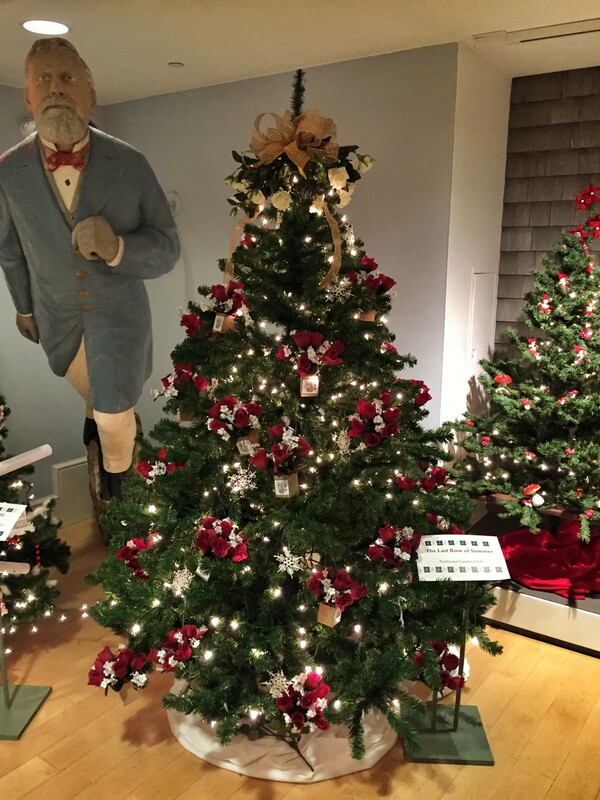 During the holiday season, the Nantucket Historical Association transforms the Nantucket Whaling Museum into a gorgeous gallery of Christmas trees! 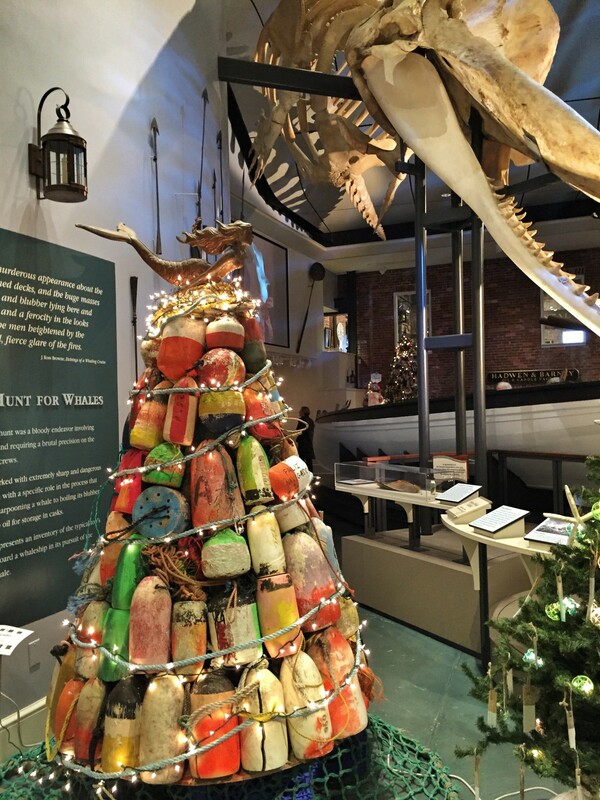 Visitors are invited to pay the general admission ($20) to view the decorations, while also taking in the history of Nantucket’s whaling industry. Various island businesses, residents, artists, schools, and non-profit organizations decorate a tree, usually with a creative theme (think under the sea or “The Sound of Music”), and the result is a winter wonderland of over 70 trees, each one more unique than the next. I love taking my time and meandering through the museum to view them all. You will definitely have more than one favorite by the end! On the Saturday of Stroll weekend, Santa Claus officially comes to town around 12:45 p.m.. My favorite place to view his grand arrival is by the gazebo at Straight Wharf. As a sea of people donning red, white, and green anxiously await the town crier’s bells, Santa Claus is brought in by sea on a coast guard cutter. As Santa makes his way down Main Street waving to his faithful admirers, young and old, it’s hard not to feel magic in the air. Santa Claus’ arrival is a fun way to kick off the weekend and should not be missed, especially if you have little ones! Decorations are one of my favorite parts about the holiday season. I absolutely love looking at Christmas lights and seeing how people dress up their homes or businesses with seasonal flair! 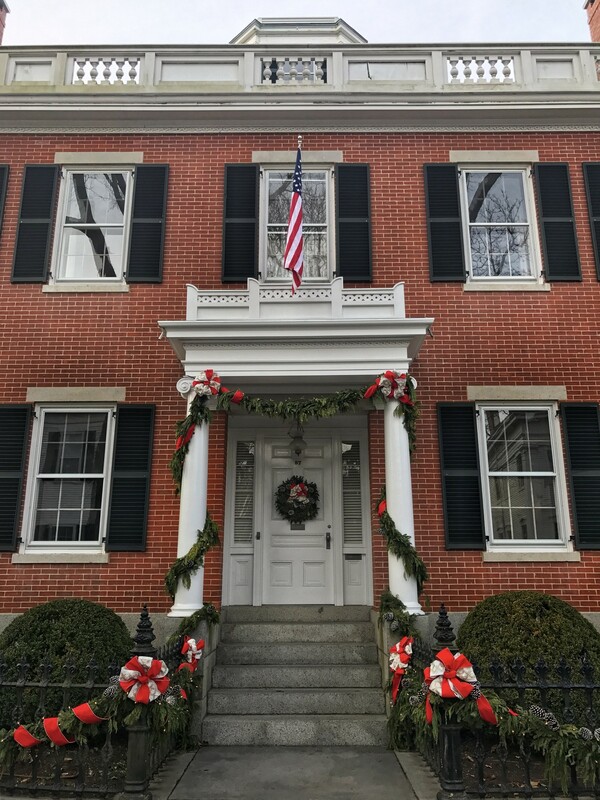 If you’d like to experience some of the best decorations on the island, I’d recommend visiting the following: Brant Point Lighthouse (it always has a gorgeous holiday wreath on it! ), the Christmas tree in a row boat (this can be seen on Easy Street and is easily the most photographed spot during Stroll), the “Talking Tree” at the top of Main Street (make sure to check this out on the Saturday of Stroll weekend; you will definitely get a few laughs! ), the First Congregational Church on North Centre Street (this picturesque white church is beautiful year-round but during the holidays, they put a tree up in the top window! 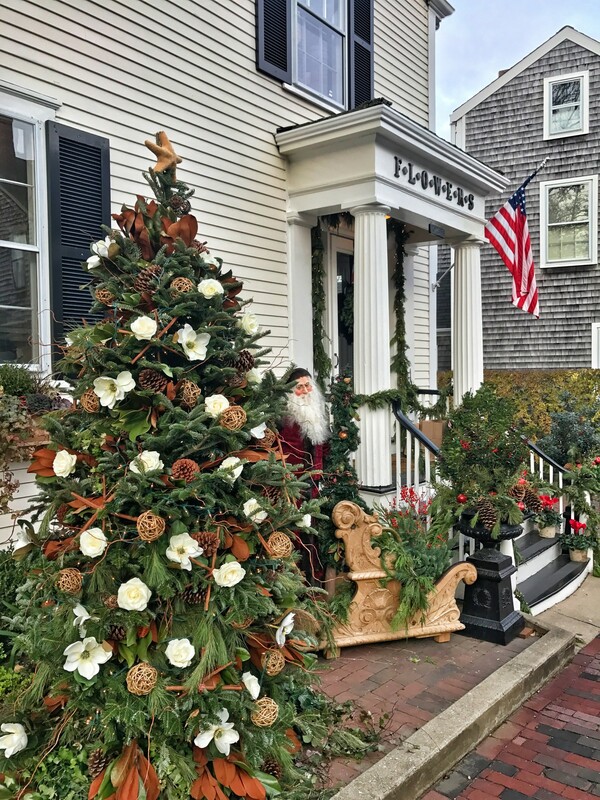 ), and the various boutiques that go above and beyond with their window boxes and light displays (one of my all-time favorites for decor is Craftsmasters of Nantucket on India Street; they do an amazing job with lights!). This is one of my favorite “events” during Stroll. There are so many fantastic restaurants and chefs on Nantucket and I never miss an opportunity to enjoy their delicious culinary creations. During Stroll weekend, my favorite brunch is at Brant Point Grill at the White Elephant. This is a bountiful buffet serving up traditional brunch fare alongside a raw bar, Bloody Mary bar, and scrumptious dessert selection complete with an old fashioned ice cream cart to make sundaes! You could literally be here for hours enjoying all of the amazing food, live music, and beautiful oceanside view! My other brunch favorites are The Proprietors Bar & Table and CRU. Stroll weekend is filled with activities upon activities, and you can choose to do as little or as much as you would like during your visit. I’d recommend picking up the official Stroll calendar of activities or visit this website for up-to-date information. If you’re staying at an inn, the innkeeper will usually provide you with a calendar/guide upon check-in or you can easily track one down at the Chamber of Commerce. From author book signings at Mitchell’s Book Corner (Elin Hildebrand is set to be there!) and craft fairs to carolers dressed in old-fashioned clothing and holiday house tours, there is always something happening! Additionally, not on the calendar of events, but definitely worth a visit is Cisco Brewers. During the Stroll weekend, the brewery offers a complimentary shuttle from the Visitor’s Center on Federal Street to the brewery and back. You’ll find live music, a fire pit, food trucks, and plenty of booze! Dress warm if you plan on making the trip – indoor space at Cisco is limited and it will get cold! -Every year, there is a new “official” scarf for Stroll. As you explore Nantucket, you will notice that almost everyone is sporting one around town; it’s actually slightly comical how many people have on the same thing! The scarves sell out quickly, so if you want to purchase one, this should be one of the first shopping trips you make on the island. 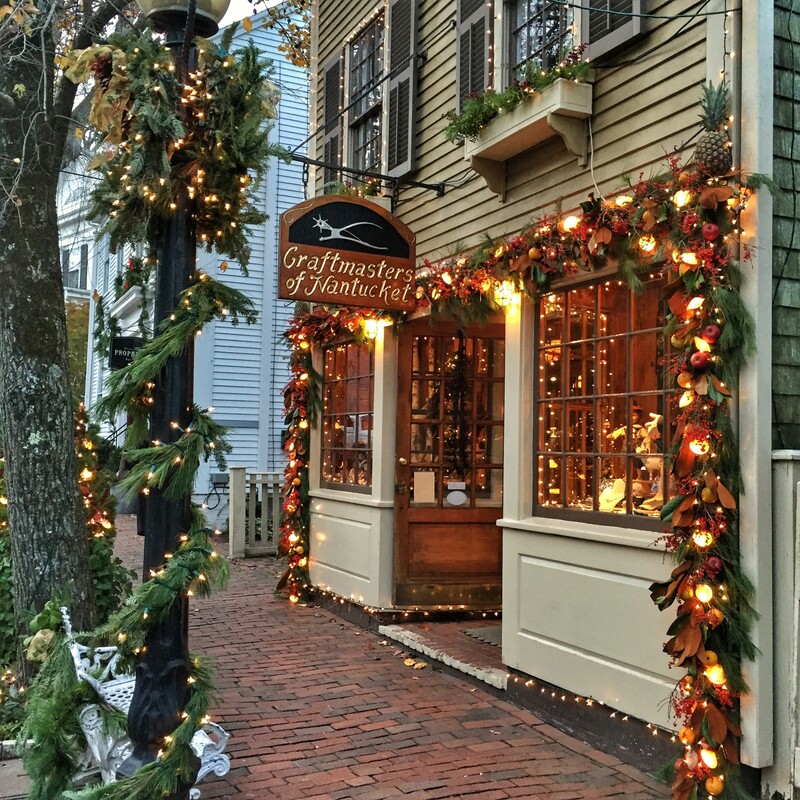 To find the retailer, Nantucket Boat Basin Authentic Shop, head down Straight Wharf towards the terminal for the Highline Ferry, and the shop will be on your right at 33 Straight Wharf. Dressing alike has never been so festive! 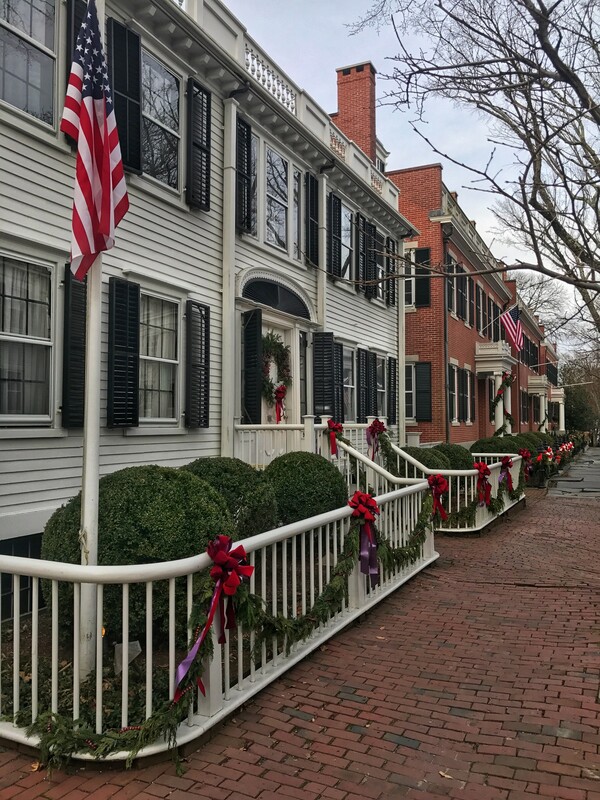 -One of the best photo opps for Christmas Stroll is in the center of Main Street in front of the light post/planter that’s festively decorated with greenery and bows for the holiday. Everyone wants this picture and people block traffic to try get it. The key to scoring this shot without cars and throngs of visitors in your background is to go early in the morning or right before dusk. If you have a high quality camera that can capture good images in dark, after 8:00 pm is even more ideal. This would make an amazing photo for a holiday card if you can get the perfect shot! -Make dinner reservations. While most restaurants will take walk-ins, the wait times during Stroll can be super long, so I always make our reservations a good month in advance. No reservations available? Try checking in at your desired spot on the early side or late side to beat the crowds, or if you have access to a car, head to one of the restaurants on mid-island, as less tourists will leave town for a meal. -Shop the sales rack at your favorite boutiques. Since the retailers are about to close for the season and want to clear their stores, you can find some amazing deals during Stroll weekend (think lightweight cashmere, DVF wrap dresses, and Milly separates!). It’s a great time to shop for summertime staples that will never go out of style. My go-to’s for awesome steals and great designer finds are Erica Wilson, Polo Ralph Lauren, and North River Outfitter! 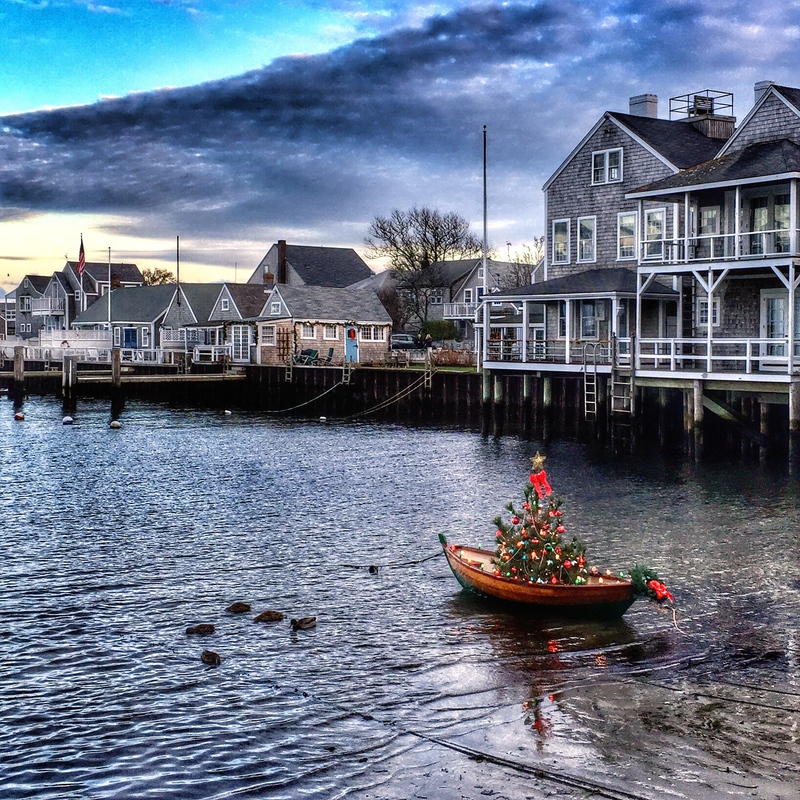 -Use the hashtags #ACKStroll and #ACKStroll2018 to see all of the photos from the special weekend. Want to get a preview of what to expect? Check out what was posted last year using the same #ACKStroll and @ACKStroll2017. Some great insight. 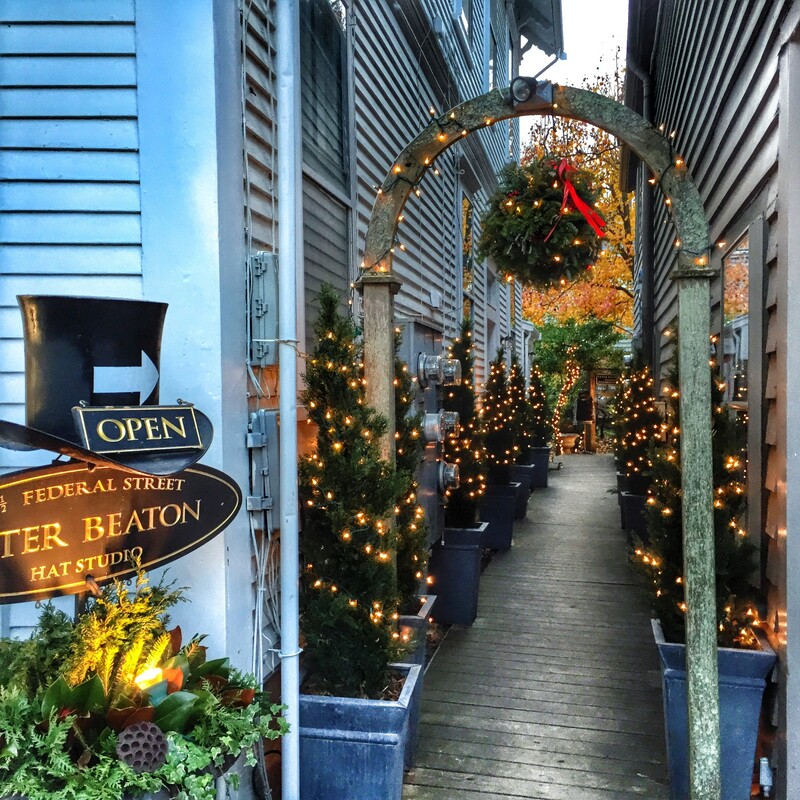 A lover of the OTHER island I’ve always been curious about the Nantucket stroll.. Thanks for the details and insider tips! Thank you so much, K! 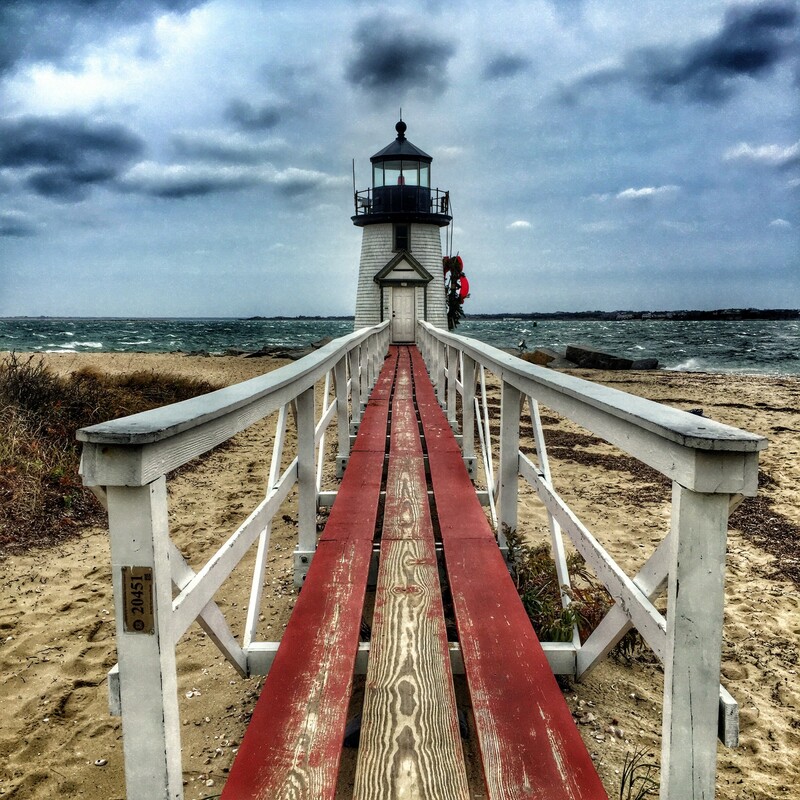 It’s such a special weekend on Nantucket – I highly recommend it! © 2017 The A-Lyst. All Rights Reserved.